William FitzOsbern, cousin of William the Conqueror, founded the Castle, Priory, and Town at Chepstow. He was joint 2nd in command of the Normans in the Norman conquest of 1066. So afterward, William I made him Earl of Hereford. The priority for both the Conqueror and FitzOsbern was to secure the English-Welsh border. So, FitzOsbern began to build Chepstow Castle in 1067, now one of the oldest and most spectacular castles in Britain. It is perched high on cliffs above the Wye Valley gorge at the southern end of the line of the C8th Offa’s Dyke. The Normans built early motte and bailey castles out of wood. Years later, they rebuilt many of them in stone. No one knows the date of the stone tower; it could have been 1075-80 or later. As one of the earliest stone castles it had improvements made to it over the years up to the Civil War. Its fabric is therefore, a record of the history of castle building. The castle was always a magnificent sight, perched on high cliffs. 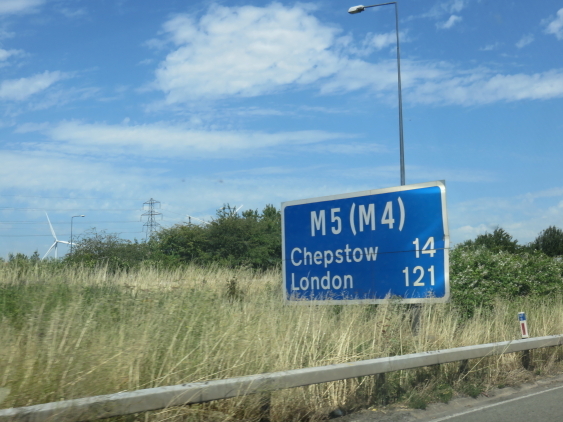 And, with the new Priory, it became magnet for the growth of a new town of ‘Striguil,’ later Chepstow. William Marshal was one of the Middle Ages great knights. 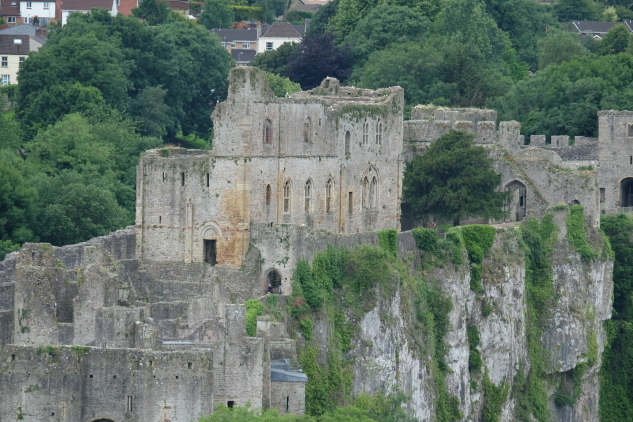 He extended Chepstow Castle between 1189 and 1219. Marshal was one of the top knights in tournaments and battle, both in France and in Britain. He married into money and gained Chepstow and Pembroke Castles and many others, and became Regent of all England, and issued most of the Magna Charta copies we still have today. He died 800 years ago in 1219. His style of gatehouse at Chepstow, one of the first in Europe of its type, became popular across Europe. The wooden doors, probably the oldest in Europe were in use until 1962 and are on display inside the castle. To protect the port trade, Roger Bigod, built the Port Wall around the town in 1274. Large sections are visible in Welsh Street Car Park, Cormeilles Square, and Garden City. 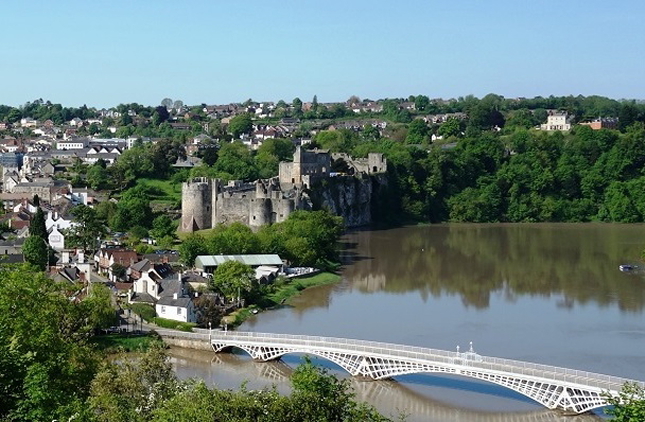 Chepstow was for many years an important port, usurping Cardiff and Newport until the C19th. Large sections can still be seen in Welsh Street Car Park, Cormeilles Square, and Garden City. 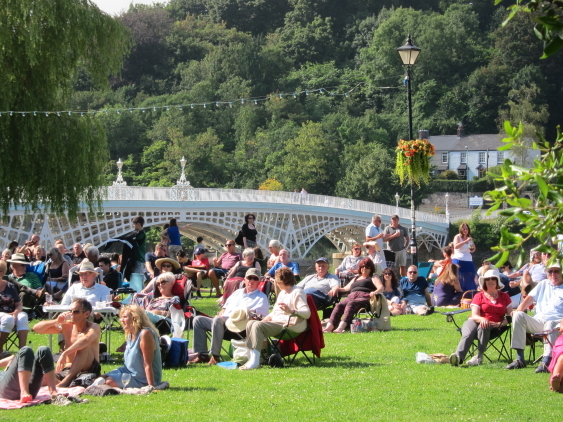 John Urpeth Rastrick designed and built Chepstow Bridge the world’s largest iron arch road bridge built before 1830. Rastrick worked in the first 50 years (1780-1830) of iron used for construction; this was before suspension bridges. Ironbridge in Shropshire dates from 1780. 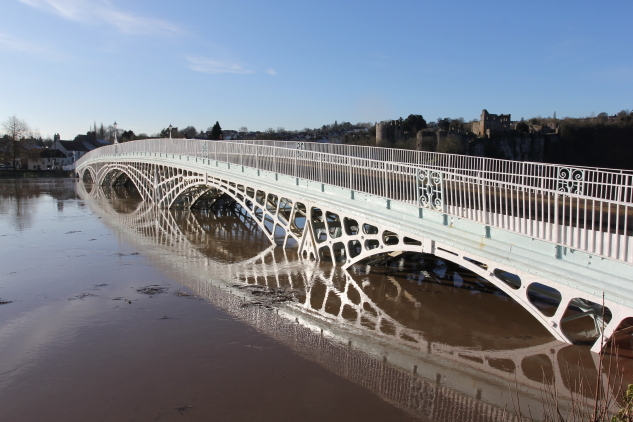 Chepstow’s elegant five-arch iron-road bridge was the world’s 3rd largest when Rastrick designed and built it in 1816. On 24 July 2016 Chepstow re-enacted the bridge opening of 1816 exactly as it was 200 years earlier. Rastrick was also a judge in the 1829 Railhill Steam Trials won by Stephenson’s Rocket! The Severn Bridge road deck was the world’s first aerodynamic road deck. It changed long span suspension bridge building across the world. Sir Gilbert Roberts & Dr William Brown designed the road deck; Fairfield Mabey in Chepstow assembled it. The wafer thin design made it one of the most beautiful bridges in the world. It was not only lighter, but stronger, and less costly. Today almost all the world’s large suspension bridges use the system piloted at Chepstow. William FitzOsbern established a Benedictine Priory in 1067 and linked it to Cormeilles Abbey in Normandy. Now, St Mary’s Priory Church is over 900 years old. 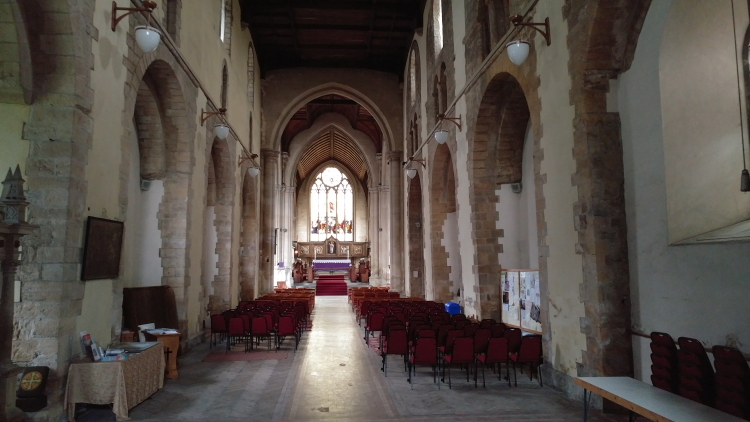 Its large nave of Norman arches and splendid Norman door way remain. It has been in daily use since the C11th. The C17 th organ came from the Cathedral at Gloucester. Previous PostPenrith in the Lake District is right in the middle of it all! 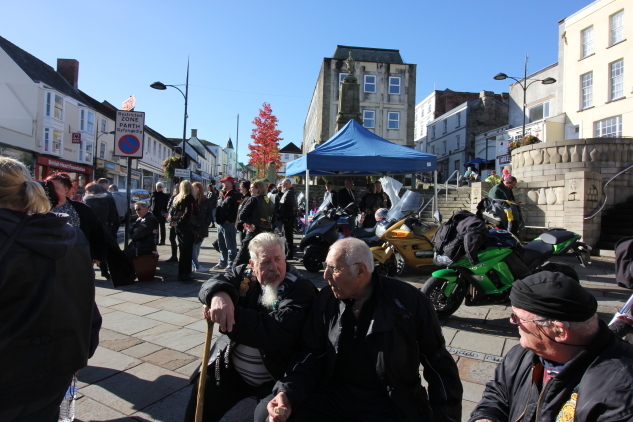 It’s a market town with cobbled lanes, and surrounded by Bronze Age monuments. Next PostHarpenden the bustling town with a traditional English village feel.